Started with an inquiry, then researched and written, and finally published, the story of Connecticut’s Forlorn Soldier comes together thanks to regional historian and social studies teacher, Anthony Roy. As part of his master’s studies at Central Connecticut State University, Roy along with Dr. Matt Warshauer, found not just a story, but a great story of a cast-away statue that lived neglected for years among the elements—first on Charter Oak Avenue and later on Airport Road. 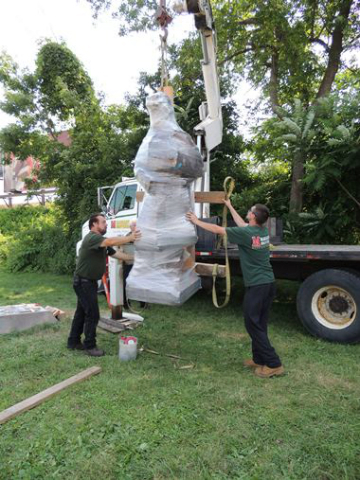 This great story takes an exciting look at the statue’s history, its care and conservation, and finally, its journey to the Connecticut State Capitol building where the Forlorn Soldier stands in all its glory. Take the journey from the monument’s creation to its final stop at the state capitol through our series of articles, videos, links, and resources, generously shared with us by its author.